Hey all! So I'm the only author here without a traditional length book yet published! While I'm working to have something out soon, for now I'm adding bookmarks to the stash because my love of writing came from my love of reading. 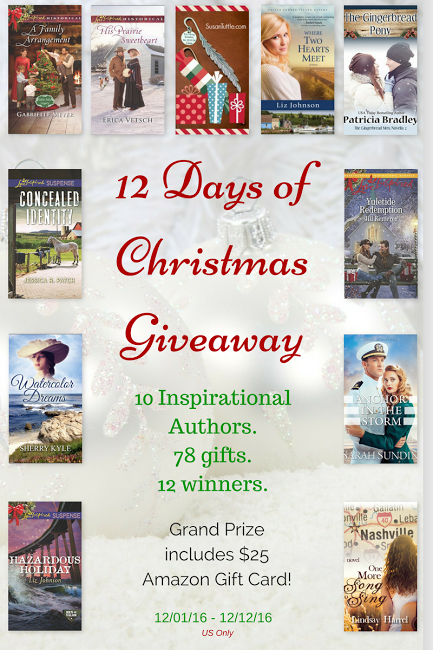 And with all these amazing books you have a chance to win, you'll be doing a LOT of reading. 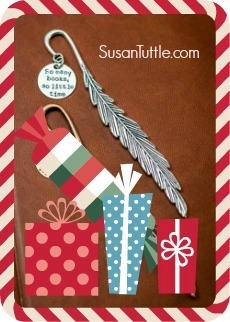 And the bookmark I just added! All you have to do is enter the Rafflecopter giveaway below. Every entry carries over for the remaining days, so even if you don't win Day 9, you may win before the 12 days are up! So keep checking back at the blogs to come. 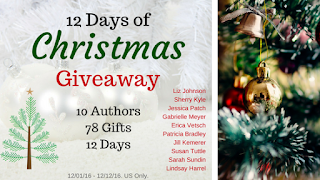 And make sure to visit Sarah Sundin's blog tomorrow for Day 10 and another chance to win! I enter this giveaway and signed up for newsletters ..but I only read books not E-books. 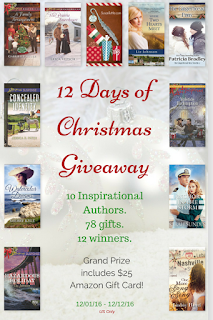 Hope to win some of these great books.